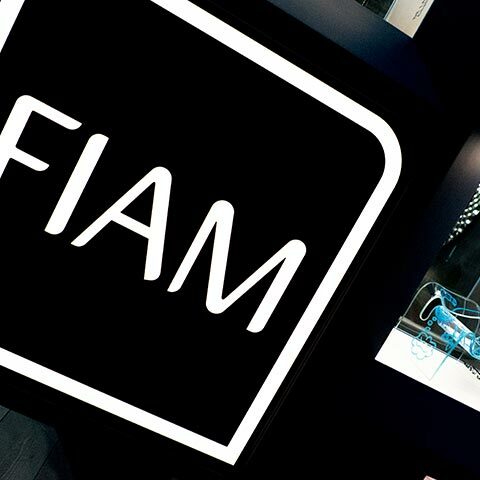 Our customer for almost 20 years, FIAM is the company that created the glass bending process, specializing in the design of furnishing items. 2017 is an important year for the company to celebrate Ghost’s 30th anniversary, the first original glass armchair that became a worldwide design icon. For FIAM we designed the communication concept and the mood for the occasion, applying them to the celebratory logo and the brochure that tells the story of Ghost. 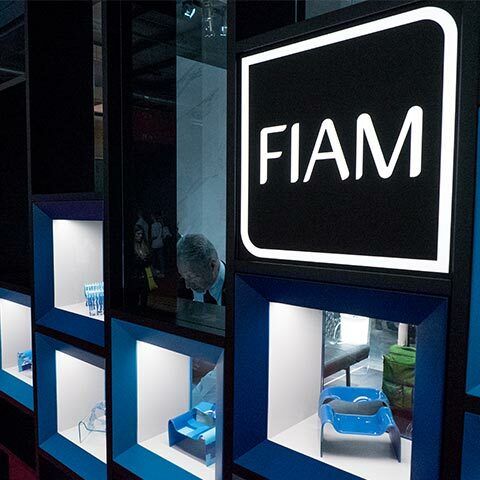 Our customer for almost 20 years, FIAM is the company that created the glass bending process, specializing in the design of furnishing items. 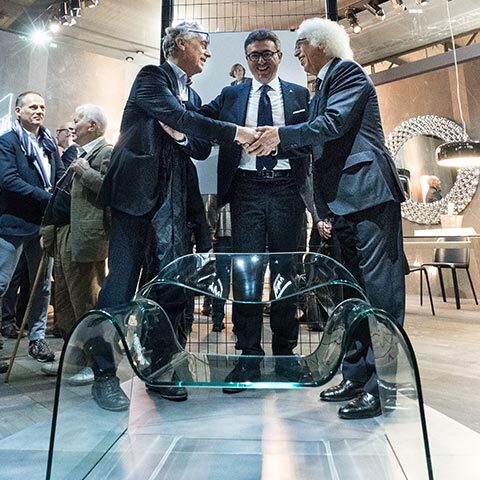 2017 is an important year for the company to celebrate Ghost’s 30th anniversary, the first original glass armchair that became a worldwide design icon. 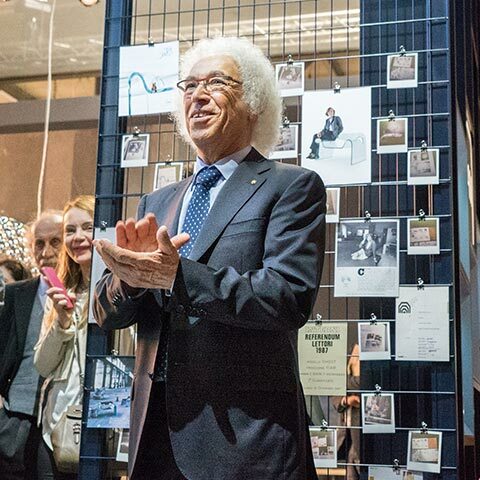 To properly celebrate it, FIAM chose the Salone del Mobile as the celebration venue, the same location where Ghost was presented to the world for the first time in 1987. For FIAM we designed the communication concept and mood for the occasion, applying them to the celebratory logo and the brochure that tells the story of Ghost. The logo design began with the search for the right font. The aim was to remind of the femininity of Cini Boeri, Ghost’s designer, and after a careful selection we found the solution: the very new calligraphic font by Antonio Vignali, chosen for its particular formal grace. The corporate colour, applied to the “30” and “Anniversary” words can evoke both glass as the material and the product. 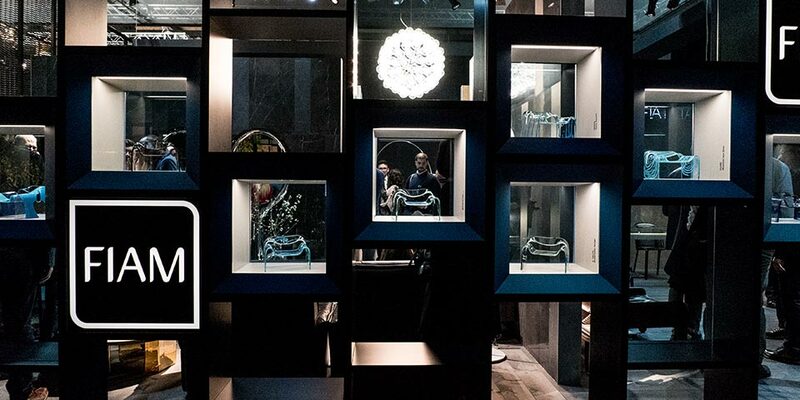 Our goal was to tell with an image the passion for innovation, glass and design that led to the birth of Ghost, a project that seemed impossible to achieve and that instead became a masterpiece with a story full of recognition that lasted for 30 years. To evoke the timeless combination of glass and design we used the typical hug between a man and a woman. Selecting content and organizing the structure of the narrative to tell the story of 30 years of a product that is considered a worldwide design icon was a complex and at the same time stimulating challenge. 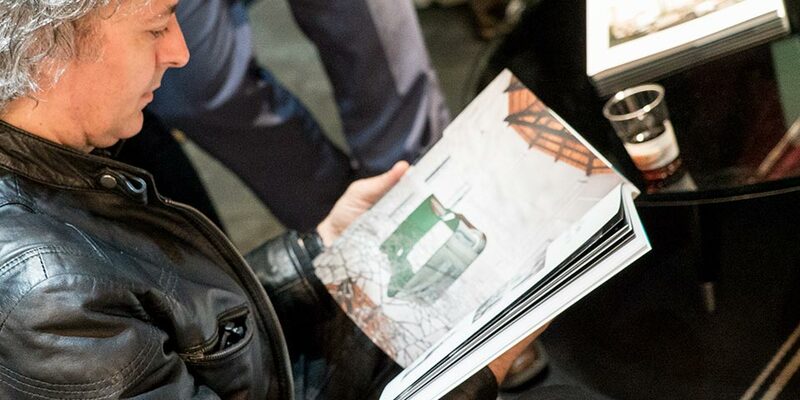 Following a careful analysis of the various materials, we designed, in cooperation with Matteo Pirola, an editorial structure capable of describing Ghost in all its facets. The result was a brochure that, like the story of the product that it wants to narrate, is not only rich in content but is also dynamic in its story, treating each topic in a different way. 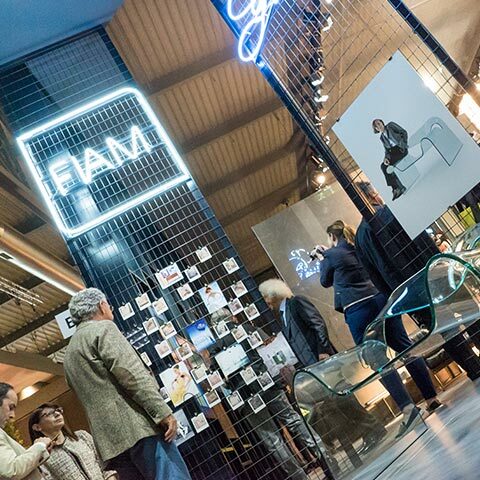 In order to give value to the company’s historical product, FIAM organized a project involving the architects and designers of the large FIAM family, to whom a large section of the brochure is dedicated. 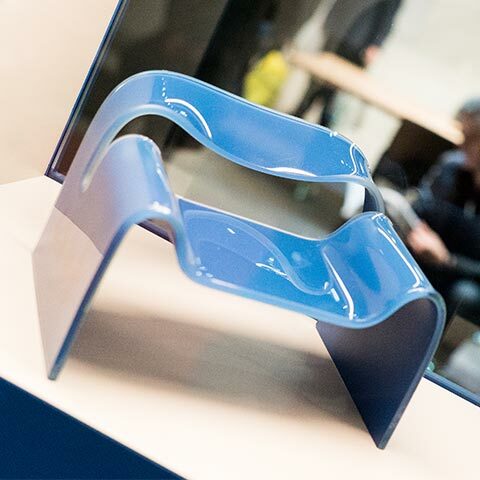 Cini Boeri selected three shades of sky-blue and blue – to use only a reflection of the glass colour in 3 versions – and each of the architects/designers participating in the project decorated a Mini Ghost reinterpreting the armchair in a modern and personalized way. 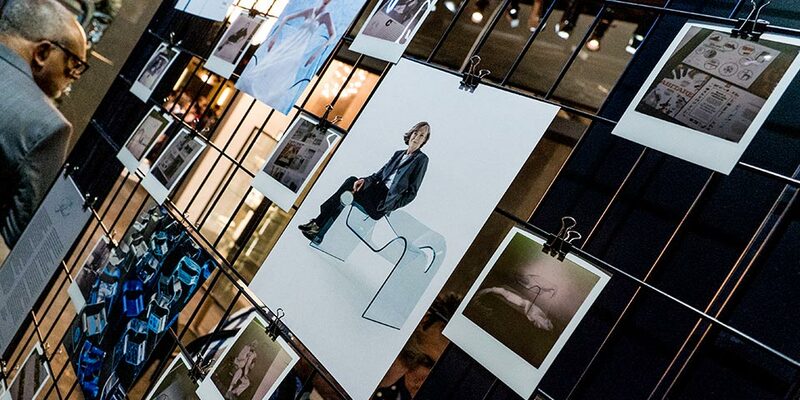 The Mini Ghost collection, after the exhibition at the Salone del Mobile, will be auctioned by FIAM for charity.